I am a single lady who speak fluent English and Mandarin, and a little Cantonese. I would like to share my beautiful house in Como area with 2 quiet, clean and responsible female students. The location is superb. McDonald Park is at doorstep, bus to Curtin within 2 to 3 mins walk. Canning bridge train station is also a 10 mins walk. I have two rooms to let. Both fully furnished with bed (linen provided), desk, wardrobe, lamp and shelf. One room rents for $145. 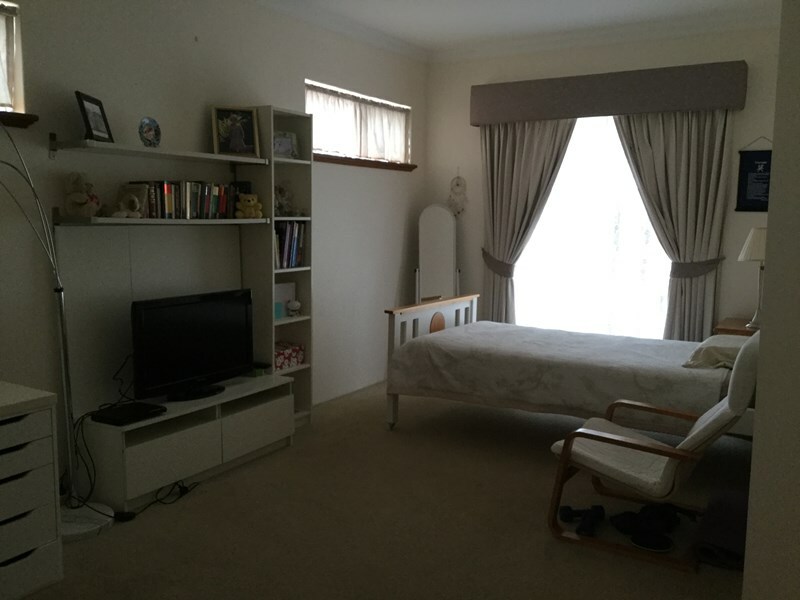 One extra large room with semi-en-suite and TV rents for $180. Rents include water, electricity and high speed NBN internet. It would be great if you love dogs as I have a small Maltese dog who is cute and very very friendly.